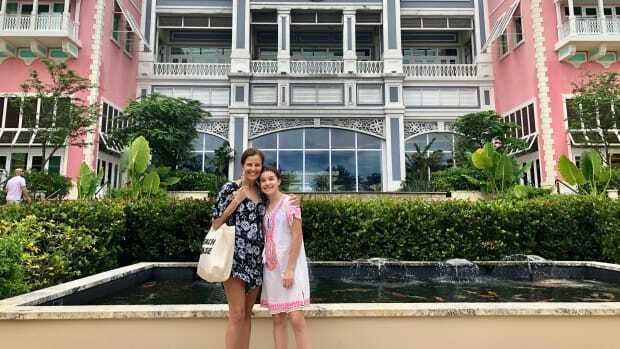 In our heavily tech and digital world, we love the simplicity of games and crafts that don&apos;t require any batteries. 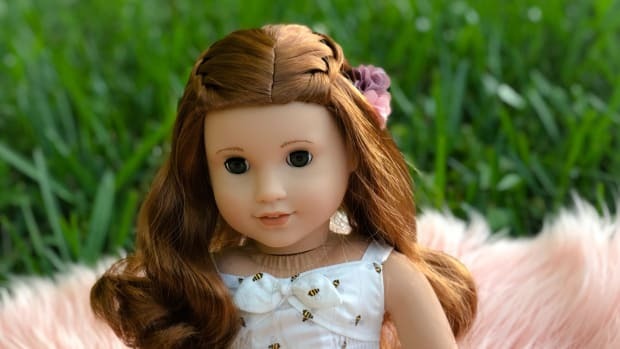 One of our favorites is from eeBoo, a boutique toy company based in NYC. This includes a collection of games, activities, and crafts - all which encourage learning, storytelling, and imaginative play. On top of that we love the beautiful design of the products that goregously fuse cheerful artwork and contemporary design. Here are some of our favorites for the holidays. 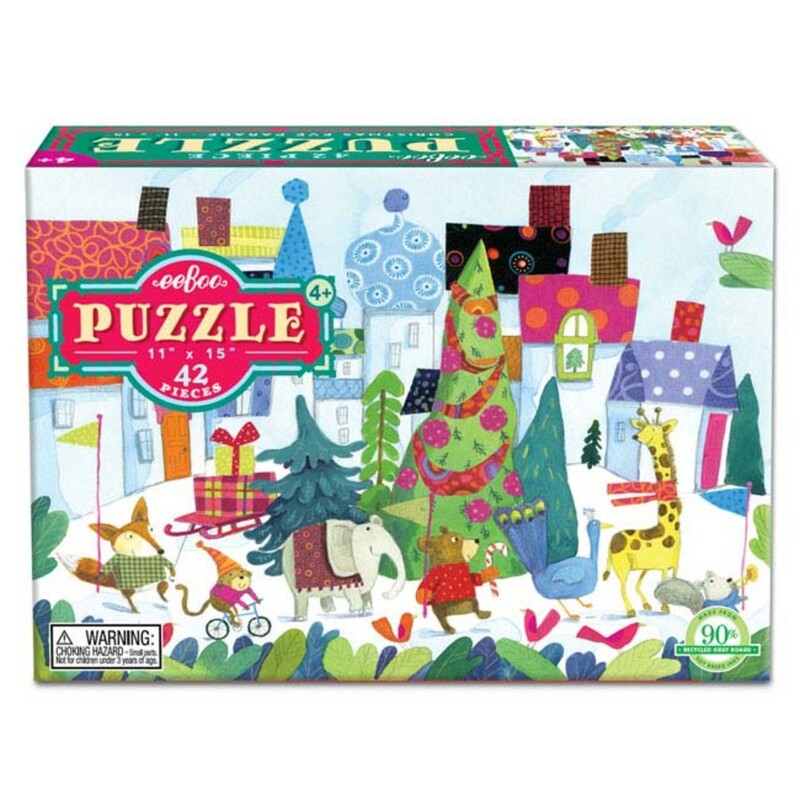 Christmas Parade Puzzle: A gorgeous and glittery puzzle, kids four and up will love putting together this whimisical world of animals and holiday cheer. 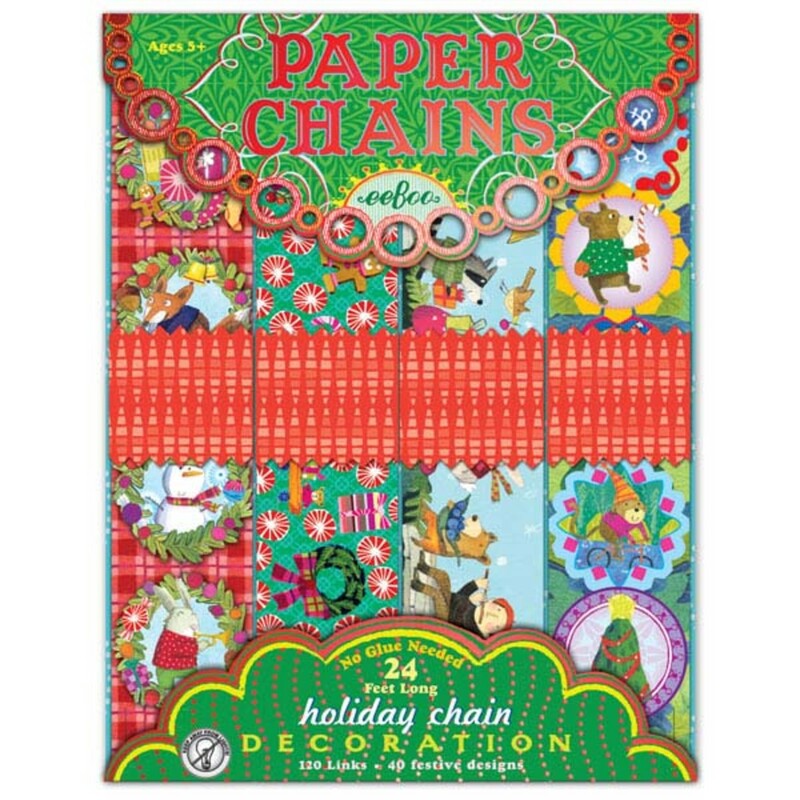 Holiday Paper Chains: Get ready to decorate with this beautiful paper selection where your kids&apos; imaginative side can run wild. 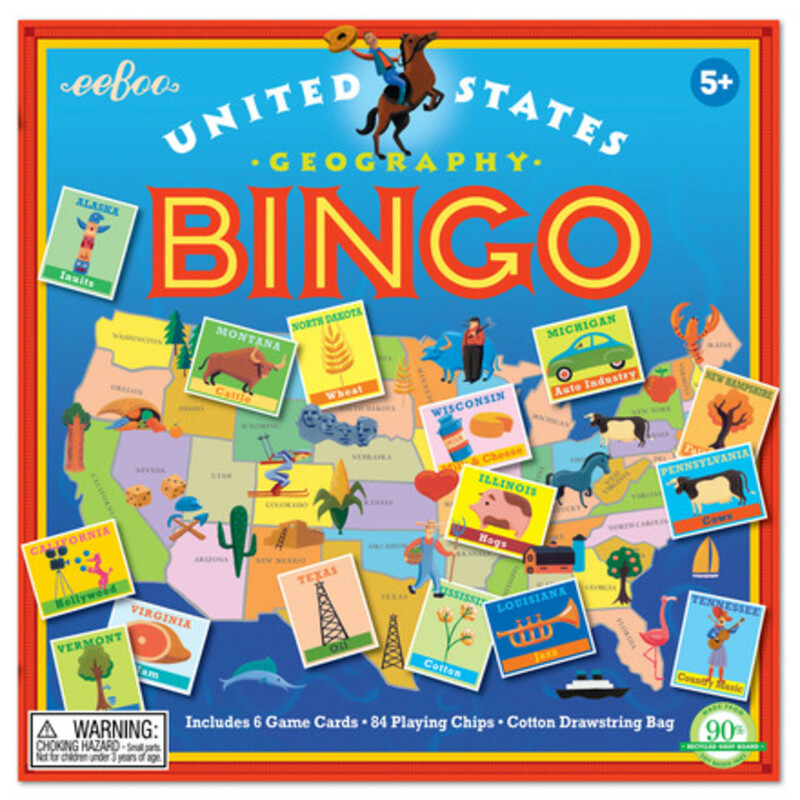 United States Geography Bingo:Newly redesigned for 2014, this twist on classic bingo teaches United States regions, states, landmarks and industry. Flip the pieces to find fun facts about each state! Images by award winning illustrator Dan Yaccarino. Buzz continues to grow for US Bingo, after being featured on the TODAY Show as an Oppenheim Toy Portfolio choice for "Best Educational Toys." 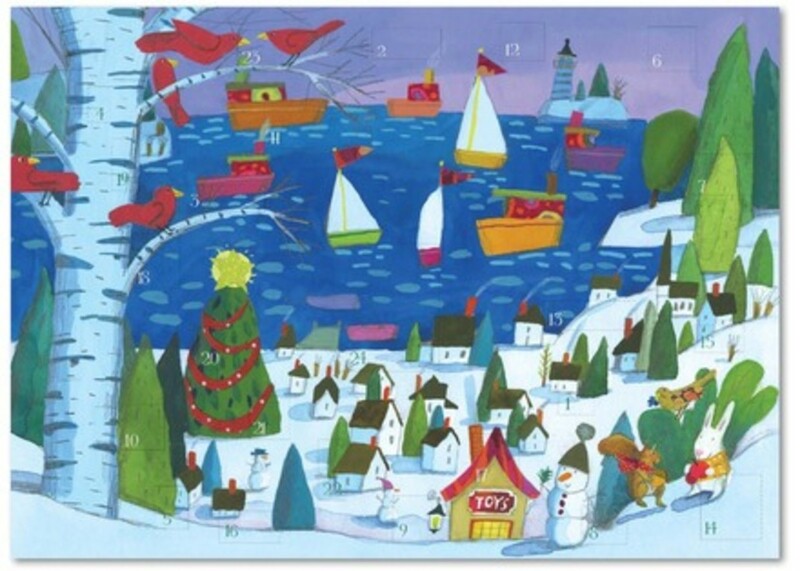 Seaside Advent Calendar: Countdown to Christmas with a beautiful advent calendar with one of our favorites being this stunningly illustrated scene. Life on Earth 20 Piece Puzzle: This charming 11" x 15" puzzle is adorned with vibrant imagery of flowers, berries, beavers, bees, and more. 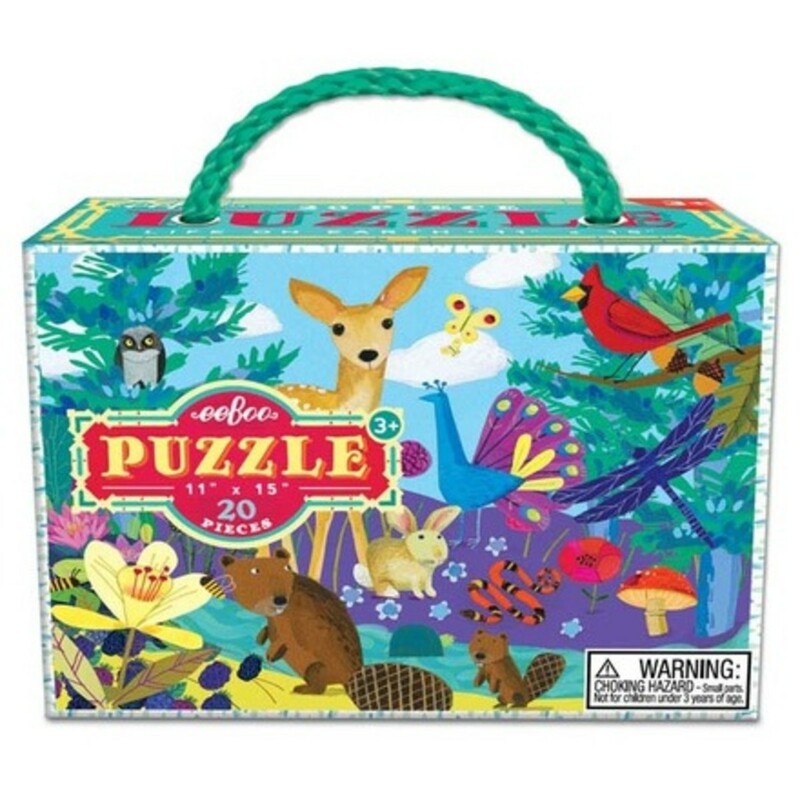 The jumbo-sized pieces and cute carrying rope make this a perfect puzzle for little hands. Artwork by acclaimed children’s book illustrator, Melissa Sweet. Striped Biggies Sketchbook & 24 Color Pencils: These high-quality art supplies feature whimsical designs by beloved children&apos;s illustrator, Kevin Hawkes. Each 8" x 11" sketchbook includes 60 sheets of sketching paper. 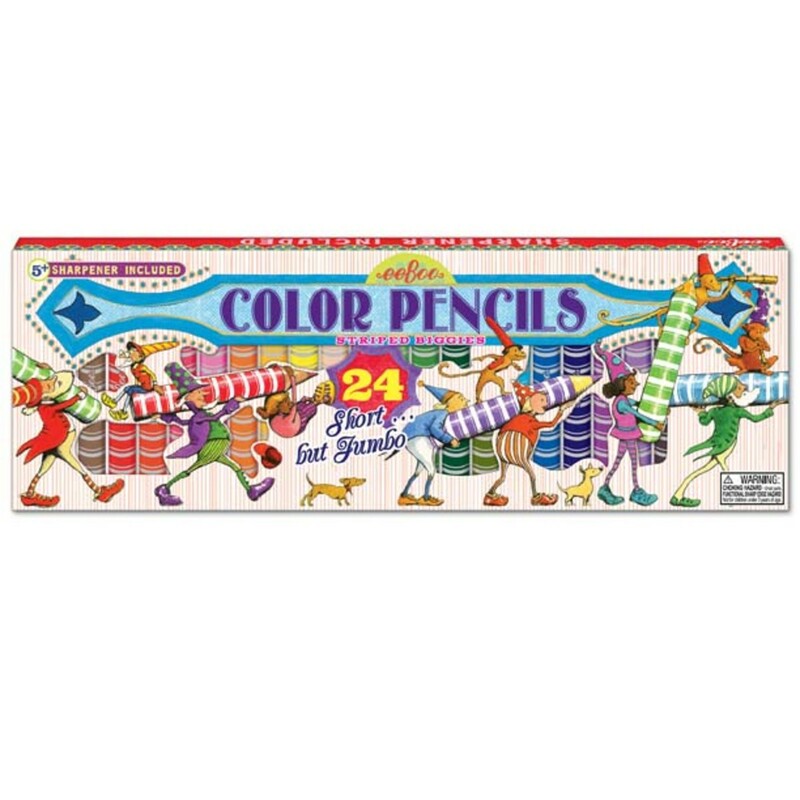 The matching 24 color pencils are embellished with foil, adding sparkle and shine to the rainbow of available colors. 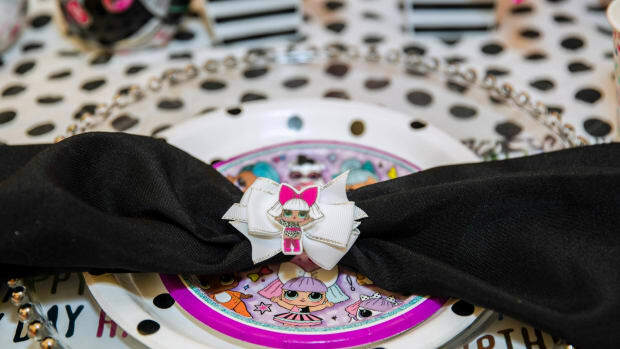 Also available in set of 12! 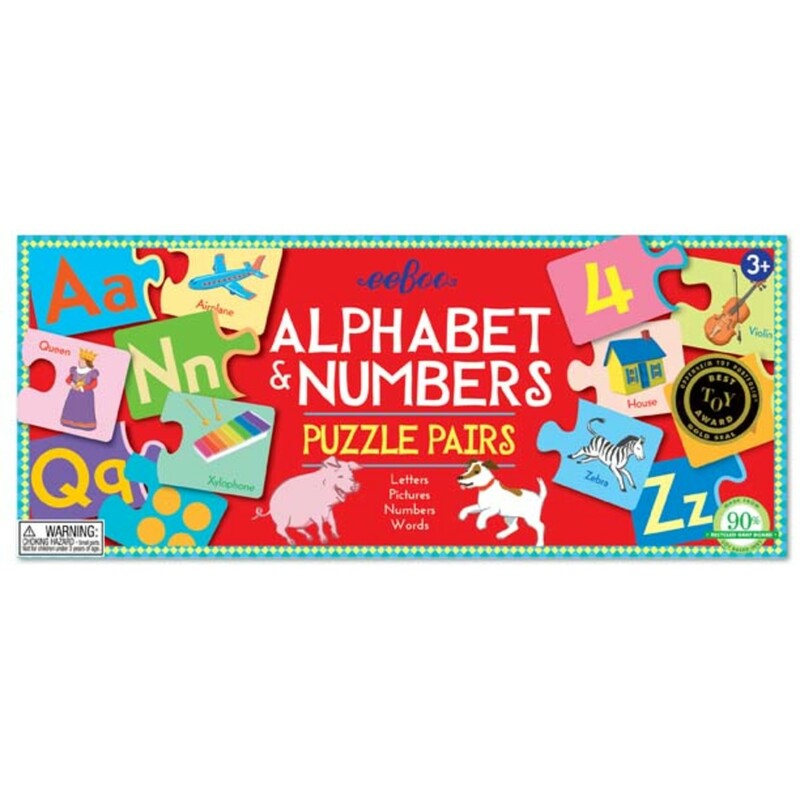 Alphabet & Numbers Puzzle Pairs: eeBoo best-seller and Oppenheim Toy Portfolio Best Toy Award winner, Alphabet & Numbers Puzzle Pairs re-launched in 2014 with a brand new design. Emerging readers match letters A-Z with pictures, and dots to corresponding numbers. With 36 puzzle pairs and 6 different ways to play, this acclaimed activity offers endless learning and enjoyment.